Pastor Jim and his family came to GBC in February of 2017 after serving churches in New Jersey and Maryland. He and his wife, Sarah, were born and grew up in central New Jersey. Having met early in high school, they were married in August of 2001. Together, they have five beautiful daughters who keep them on the go. 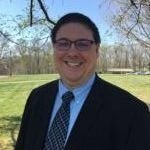 In addition to pastoring, he has worked as a Middle School Bible and Math teacher at Christian schools in North Carolina and Maryland and as an adjunct professor at Washington Bible College. Pastor Jim earned his Bible Certificate from Washington Bible College, his Bachelor of Arts in Bible from Lancaster Bible College and earned a Masters of Religious Education from Liberty Baptist Theological Seminary. Currently, he is working on his Masters of Divinity from Southeastern Baptist Theological Seminary.